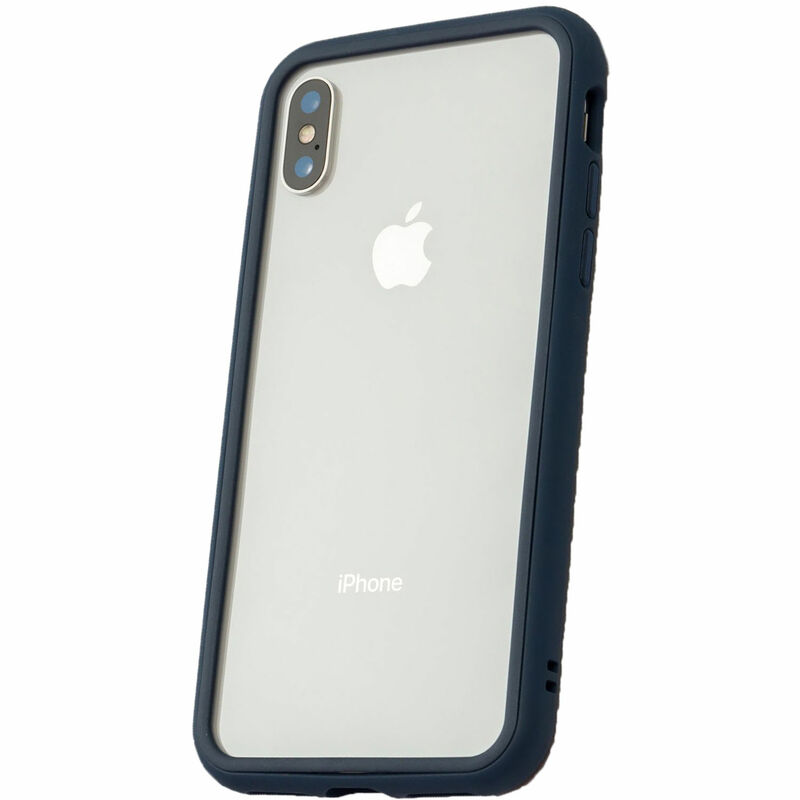 Switch it up with the RhinoShield Mod Case for iPhone X in dark blue with a clear backplate. This case system comes with a dark blue frame made with BPA, BPS, and BPF-free ShockSpread, which bends without breaking or loosening for a snug fit. Inside, there's a honeycomb structure to protect your device from falls and impact forces. You can then outfit your frame with either the dark blue rim for a minimalist bumper-style case or a clear backplate for improved scratch protection, both of which are included. Additional backplates in various colors and design can be purchased separately, and they can all be outfitted with optional add-on lenses. Along with the backplate and rim, you'll receive four button inserts for the frame. Box Dimensions (LxWxH) 7.1 x 4.2 x 0.8"